When the Higgs result hits the internet tomorrow, look for the phrase “five sigma”. 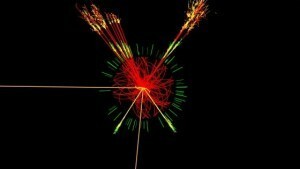 The reason is that if the Higgs is observed at five sigma it will be officially discovered. But what is a sigma and why is five the magic number? Suppose you suspected a coin was not evenly balanced, say instead of an even chance of heads and tails, it was 55% heads and 45% tails. If you only tossed a coin a few times, you might not notice anything amiss. But if you did it 100 times you might see 53 heads and 47 tails, which makes you suspicious. It is possible that the coin is fair, and by random chance you got slightly more heads than tails. But if you keep tossing the coin (a thousand times, a million), and you continue to see about 55% heads and 45% tails, then it is more likely that the coin isn’t fair. But the coin tosses are still random, so it is possible that the coin is fair, and you’ve just had bad luck in your results. The question is how likely is it that the coin is fair. For that you need statistics. The sigma is a measure of how likely your 55/45 spit is due to random chance. The bigger the sigma, the less likely your observation is to be random. So if your result had a measure of 1 sigma, then there is about a 30% chance that your coin is still fair. At 2 sigma there is only a 4% chance of being fair. In particle physics the threshold for observation is 5 sigma. At that level there is only 1 chance in 1.7 million that you’ve observed a false positive. 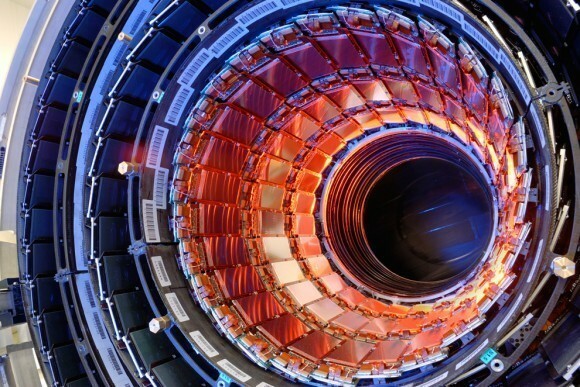 So if the Higgs is observed at 5 sigma, that means we are 99.99994% certain that it exists. Which in science terms is “close enough”. Note: This was written 3 July 2012 on Google+. I’m posting it here just to have a copy.